Leo Carrillo State Park has been closed until further notice due to the Woolsey Fire. The fire burned through the campground and several structures. If you have a reservation, please contact ReserveCalifornia at 800-444-7275. Leo Carrillo State Park campground has 135 campsites for tents, trailers and RVs (up to 31 feet) just a smidge inland from from the beach. Many sites have electrical hookups and each campsite has a table fire pit and grate. Hike and bike campsites are also located close to site #1, and the group campsite (up to 50 people) is located at the back of the campground. The campground has flush toilets, outside showers, a camp store, drinking water and additional day-use parking. Firewood is also available for sale at the camp store. Leo Carrillo State Park has 1.5 miles of beach just perfect for a little beach combing, sunbathing, swimming, surfing, snorkeling, windsurfing, surf fishing and wildlife viewing. Be sure to check out the tide pools and coastal caves for pirate treasure if you get the chance! The park also features back-country hiking, nature walks and campfire programs. Thornhill Broome Beach campground and Sycamore Canyon campground are two other options. 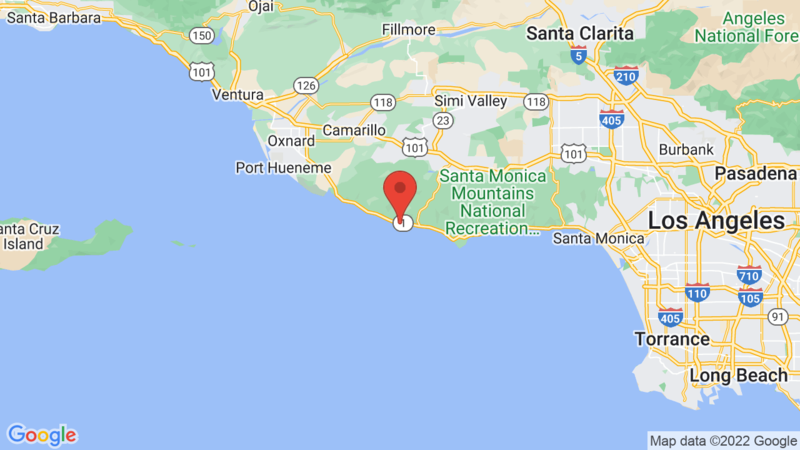 Both are are located in Point Mugu State Park about 6 miles north on Highway 1. Visted Leo Carrillo State Park Campground lately? We'd love to hear about your adventure. Did you find us useful? Did we forget something? Anything our community should know before heading out to Leo Carrillo State Park? What about a group of 14? we expect more people from other country. Is there any way we could pay more for extra persons so that they could sleep over legitimately? Me and my family what to go camping together on July 13-15 2018 you guys still have space it 35 person and children. Visit the Leo Carrillo State Park campground page. Then click on the ‘Make A Reservation’ button to check availability and make reservations. Generally Leo Carrillo State Park campgrounds are booked through the summer and well in advance. Hi! I would like to camp in Leo Carillo in a place near the beach. It is possible? Can you suggest me a place where to make a reservation for the 23-25 of August? How much it is? Thank you very much!!!! CampsitePhotos is not associated with the campgrounds listed on our site. We provide the photos of each campsite, campground info and link to reservations. Leo Carrillo State Park campground is about 1/2 mile inland from the beach. The closest campsites to the beach are 101, 102, 103, 104, 105, 106 and 107. Go to our Leo Carrillo State Park campground page and click on the ‘Make A Reservation’ button to check availability, pricing and make a reservation. Leo Carrillo State Park campground is very popular though and usually sells out 6 months in advance of your date of arrival. Leo Carrillo is a fabulous place to go beach camping. We love just being able to walk across the campground over to the beach. Our grown kids as well as the grand kids have a blast. Swimming during the day tide pools and then camp fires. Keep checking the web sight we just got lucky and were able to get in this past weekend with our family and we were all happy campers. I went by Leo Carrillo campground om12/15/18. It was very sad to see the damage from the fire. They are working on clearing up the campground and rebuilding. Hopefully they will reopen soon. Yes it is sad Laurel. We plan on reshooting the campground and getting campsites photos of each site once it opens again. One of the best places to camp. Does anyone know when it’s set to reopen for camping? No information yet on when Leo Carrillo State Park campground will reopen. Hopefully later this summer. We will post an announcement as soon as we hear.